Yukichi declined an offer to switch to an affiliate company after his retirement, and moved to Megumi's hometown Furano, Hokkaido instead. There he started a small coffee shop named "The Forest Clock." 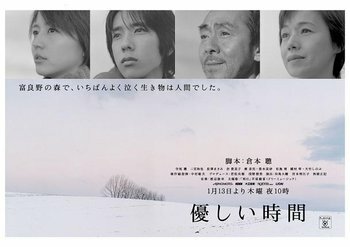 Unbeknownst to Yukichi, Takuro is working as an apprentice pottery maker in Biei—a town located 50km away from Furano. His father hasn't spoken a word to him since the accident. One day, Takuro meets Azusa, the lovely Forest Clock employee who has a habit of accidentally breaking the shop's plates and cups. It doesn't take long for the two to fall in love.